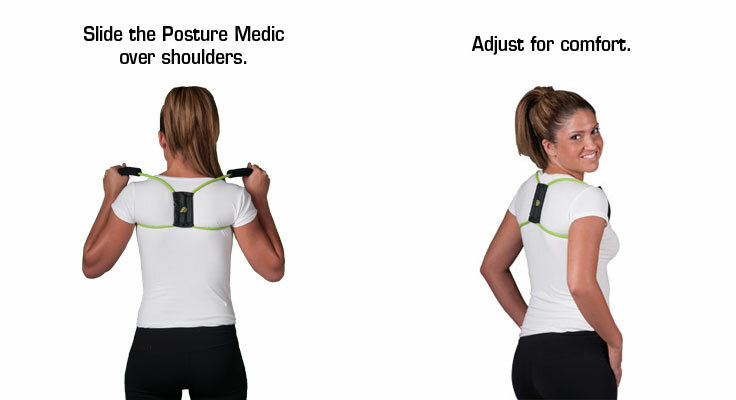 The Posture Medic helps stabilise your shoulders through muscle training. You maintain your full range of motion while wearing the device and it gently reminds you to correct to your posture whenever you relapse into incorrect postures such as slouching. 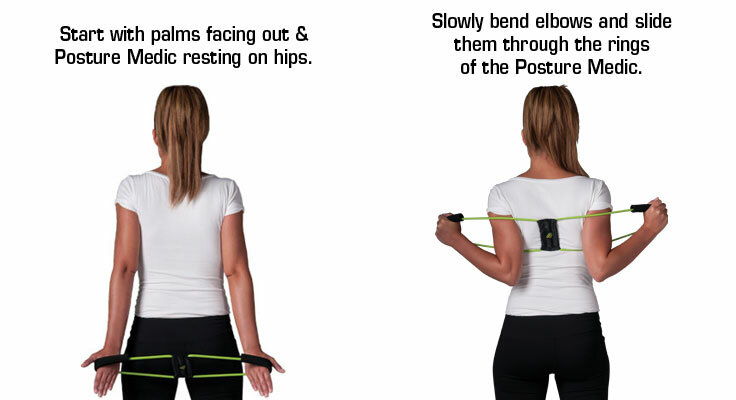 It works to build “muscle memory” so that you unconsciously and naturally maintain correct posture without fatigue. The stabilising exercises improve the strength in the small muscles of your upper body helping you stand and sit tall with your shoulders squared, chin up, chest out and stomach in. If standing, proper posture means that you can draw a straight line from your earlobe through your shoulder, hip, knee and down to the middle of your ankle. Those with recurring shoulder dislocation or trauma injuries to the shoulder girdle can especially benefit from the Posture Medic exercises. Remember to Stretch before you stabilise your muscles.This will increase your range of motion and reduce pain, making stabilisation more effective. Strengthening our neck and back muscles will help you maintain your posture for longer periods of time. 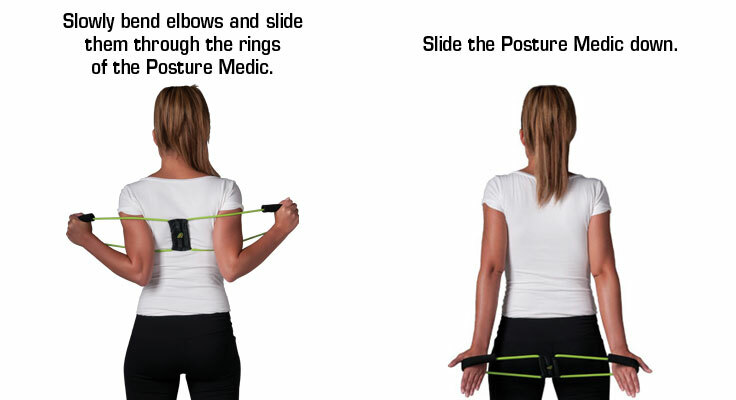 Do NOT use Posture Medic for ANY other purpose than is expressed in our Instruction Manual.